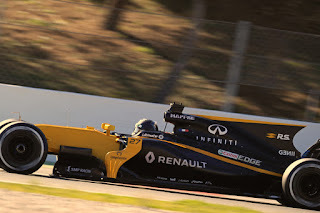 Autosport's headline got it right: this is "Renault's real first year back". Just over a year ago the French concern returned to find a hollowed out Enstone squad, desperately lacking in investment. Thus it started rebuilding - which in this game never is the work of a moment. The headcount had eroded to 475. Now it is up at 575 with the target to return it its peak level of 650. The rebuilding at the Enstone facility is literal too. Yet as noted if Renault is on the journey all the way back to the top, 2017 will be the proper first step. The team's husk qualities was reflected in last year's car which was essentially a patch-up - the team had been in an effective holding pattern for six months waiting for the takeover to be finalised, and when the takeover arrived it was late. Unsurprisingly technical focus was then switched to 2017 early. But even so and even with the fine heritage of the Renault-Enstone coupling there were broader doubts. Discontented murmurs were heard last year about its management - the odd approach to hiring drivers for 2017 was taken as a case in point - and a few doubted Renault's overall commitment as well. There was friction too between racing director Frederic Vasseur and Renault Sport MD Cyril Abiteboul. The former - unable to run things how he pleased - left in the close season, and the departure met with general paddock incredulity (including from is new driver Nico Hulkenberg reportedly). A few wondered if instead it should have been Abiteboul pointed towards the exit. Still what the team came up with amid all of this looked pretty good. The RS17 launched for this season contained lots of nice aero detail and impressive packaging. And, when it ran at least, it looked pretty good in testing too. "Out of the bunch of cars behind the big-three teams, the Renault looks as good as any of them," reckoned Gary Anderson. And he thought it had potential. "The fundamentals are there and with a bit of confidence and good development work, Renault will see a reward." It also has improved its ride quality, the big weakness of last year. 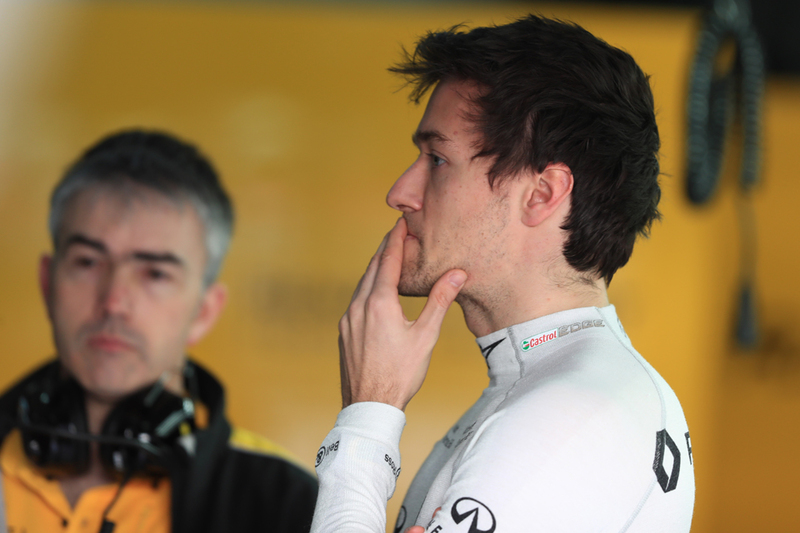 Jolyon Palmer added of the car generally after the first test that "it's a pleasant surprise at the moment,". But as outlined this was when it was running. Like all Renault power unit runners it had plenty of problems (mainly with the energy recovery system) costing plenty of mileage. Only Toro Rosso and McLaren completed fewer pre-season laps. Still, while the French unit has been problematic it has had a clear performance step-up as well. Plus Renault sounds confident of a swift solution to the woes. The Renault squad had a few problems all of its own though, such as losing an entire morning in the first test waiting on new brake ducts being sent after problems. It got auxiliary bad news the day after when it was told its rear wing was illegal, as it can't be mounted on DRS actuator. But the optimism lived on. "I think Renault is better placed than last year," noted Hulkenberg. "The team moved closer to the midfield." He added some caution though. "Points will be difficult as I think four teams are clearly in front." The RS17 won't be pulling up trees, instead it's likely to be in the midfield scrap, perhaps towards the bottom part of it. Certainly the team's aim expressed in the launch of getting fifth in the constructors' table seems at the extreme end of optimism. But the consensus is that Renault's forward step has been greater than almost any other. It seems a recurring feature of the modern F1 age - Nico Hulkenberg is yet another who plenty rate as high as they come, but whose talent is squandered in sub-standard equipment. And he is another who in this context has rolled the dice - throwing his lot for this year in with the theoretical potential of the works Renault squad. In the past few years however - loosely since he returned to Force India - it's fair to say that Hulkenberg's only shown his best in fits and starts. In continued that way initially in 2016 too as in the early rounds he looked a shadow. The season ended though with him appearing right back at the top of his mighty game. Some reckoned his Renault switch being confirmed resulted in him finding his urge of old. But in fact his upturn could be traced to before that, perhaps even was pinpointed at the car's major upgrade in the Spanish round. In Monaco he qualified a superb fifth indeed and might have at last broken his F1 podium duck had he got the pit stop timing that his team mate got. In Austria he reminded us of his excellent wet-to-dry track confidence by bagging a front row start. 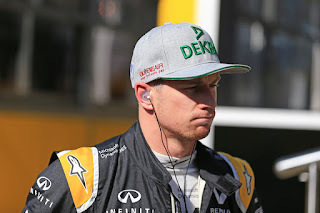 We've long known about Hulkenberg's tremendous raw speed but many attribute his rather tepid results of recent years to the notorious delicate Pirelli tyres - and that the aggressive Hulk seems unwilling as much as unable to adapt to them. Some said that in late 2016 he'd finally started to learn from his team mate Sergio Perez on how to get the best out of the rubber. And given that this year's tyres are of the much more durable sort, combined with his works team move, it may mean that things are swinging his way at last. Jolyon Palmer could hardly have asked for a more fiery F1 baptism - a difficult and under-performing car and a Renault team that from an early stage didn't conceal its shortage of faith in him. Palmer indeed appeared out of his depth in the early rounds of 2016, and several crashes at Monaco was his extreme low point. He did knuckle down however and eventually got to grips with things, with the man himself identifying improved technical understanding as key to this and particularly the post-British Grand Prix test as his breakthrough. A better run in Hungary when he looked good to break his points duck was spoiled by a half-spin. Then he got into Q2 in five of the final nine rounds, scored his only point in Malaysia, and generally was the lead Renault pilot. It perhaps reflected what he has tended to do throughout his motorsport career, which is taking a little while to get up to pace in a new series. Ordinarily it still would have been too late for a reprieve in merciless F1, and Palmer's eventual Renault retention for this campaign owed much to that several others turned the drive down. It's up to him now to take advantage of that fortune - he wouldn't be the first in the sport's history to have a fine career after such a sliding doors moment. And it's worth reflecting that another trend from his past is that he does much better in year two in a formula than in year one.